“Sisters in battle, I am shield and blade to you. As I breathe, your enemies will know no sanctuary. 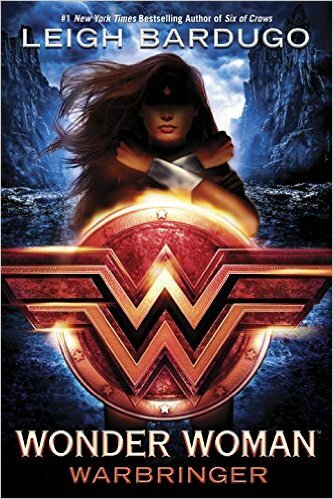 Leigh Bardugo ushers in the DC Icons series with the origin story of Diana, Princess of Themyscira. Bardugo’s narrative delivers both thrills and depth as she explores themes of bravery, friendship and perseverance. The story opens with a young Diana competing in a race, determined to prove herself to her mother and the rest of the Amazons. Losing is not an option if her dreams of glory are to be attained. Along the way, however, she sees a mortal girl barely holding onto life, thrashing in the ocean after an explosion. Saving her means exile, but Diana follows her heart and brings 17-year-old Alia Karalis to shore. Alia—a direct descendant of Helen of Troy—is a Warbringer, fated to bring destruction to not only the world of man, but also to the land inhabited by her own sisters. Together, Diana and Alia, embark on a journey to set things right, summoning the courage within to face divine and mortal enemies alike. If you loved the most recent film, you’ll love this story. Fierce, cinematic battles, clever characters, and surprising plot twists—it’s all in there, brought to life by Bardugo’s skilled hand. What I loved most other than our beloved kickass heroine, is seeing how these girls banded together, fighting side by side for each other and for the world. Inspiring, radiant and a must read.